Perfect for those cool Spring days, Summer and Fall evenings around a campfire, on your deck or just with the barbeque, anytime in the house or out that you feel like a warming treat to remind you of those outdoor days. Great projects to prepare with grandchildren so long as you are very careful to protect their fingers, even their mouths from hot containers and food. 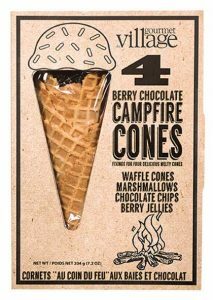 Campfire Cones; our kit contains all the components ingredients to make it easy for you to make 4 large, delicious Campfire cones, each is big enough for two to share. -Fill your cone with a mix of our ingredients, Chocolate Chips, mini Marshmallows and Berry Jellies. -Even more delicious if you personalise them; add fresh fruit in season, sliced Strawberries, Raspberries, sliced Bananas, nuts, raisins, your favourite soft candy or chocolate. Campfire: Place your wrapped Cone on the grill above or in the hot embers beside your campfire, using tongs or Ovenproof gloves. Cook for about 10 minutes turning occasionally, do not allow it to burn. Do not place in direct flames as this may cause your cone to burn. 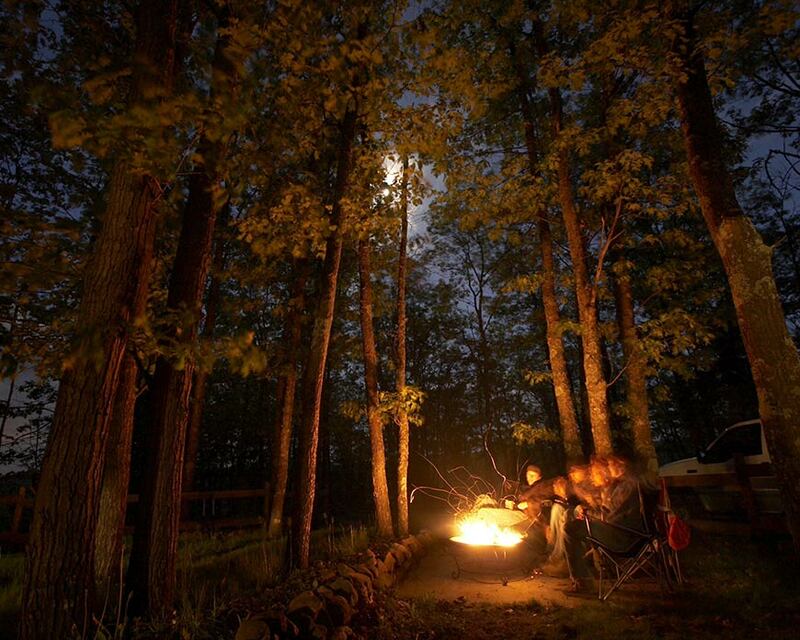 Barbecue: place on a hot grill above the coals or gas flame for approximately 15 minutes, turning occasionally. Oven: bake at 175 C or 350F for approximately 15 minutes. CAUTION, USE TONGS OR OVEN MITTS TO HANDLE THE HEATED CONES. The Aluminium foil and the ingredients will be very hot when first opened.